Dogswell makes dry and canned dog food, a multitude of dog treats, as well as dry and canned cat food. Their brands include Vitality, Happy Hips, Boundless, Super Boost, and Nutrisca. Vitality, Happy Hips, and Nutrisca each offer dry and canned dog foods, along with treats, while the other brands offer treats. Nutrisca has the widest selection of recipes. The Nutrisca foods are made with real meat, fish, or poultry as the first ingredient. They use peas, chickpeas, real fruits, and vegetables. They are grain and potato-free. And they do not use any corn, wheat, soy, artificial colors, flavors or preservatives. All of their products are grain free except grain-free except Happy Hips and Vitality dry food for dogs, which contain whole grains and oats. Dogswell began as a dog treats company specializing in hip and joint health for dogs in 2004. They have since expanded into pet food. Dogswell is headquartered in Los Angeles, California. Who Manufactures Dogswell Dog Food? According to their web site, Dogswell uses co-packers to make their foods. They note: “Our co-packing plants operate under HACCP (Hazard Analysis and Critical Control Points), a system for managing food safety. Also, U.S.-based Third Party Food Safety Auditors make announced and unannounced visits to the audit all food safety and quality systems in which our facilities have always received high scores.” And, “Most Dogswell products are manufactured in the US. Our Nutrisca Cat wet food items are manufactured in Thailand, where we hold these facilities to the same stringent quality standards we maintain at our US facilities. In February 2015 Dogswell’s Nutrisca dry dog food was being made by Tuffy’s (KLN Family Enterprises) in Perham, Minnesota. We don’t have an update on this information and we don’t know if they make other dry foods for Dogswell. As far as we know, Simmons makes canned dog food for Dogswell per several online sources. 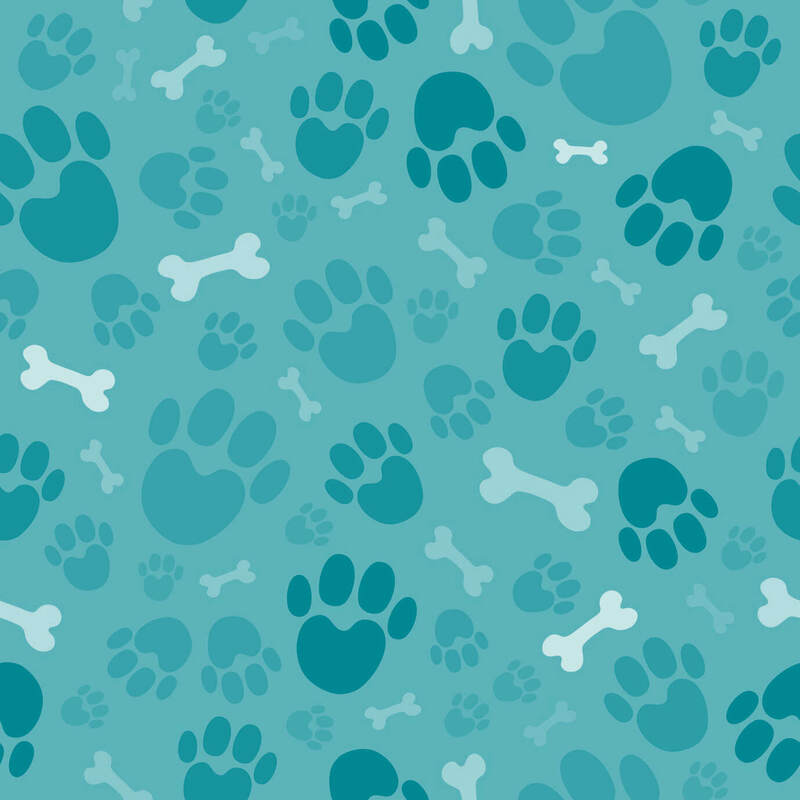 Dogswell has had a couple of recalls – one related to their treats. 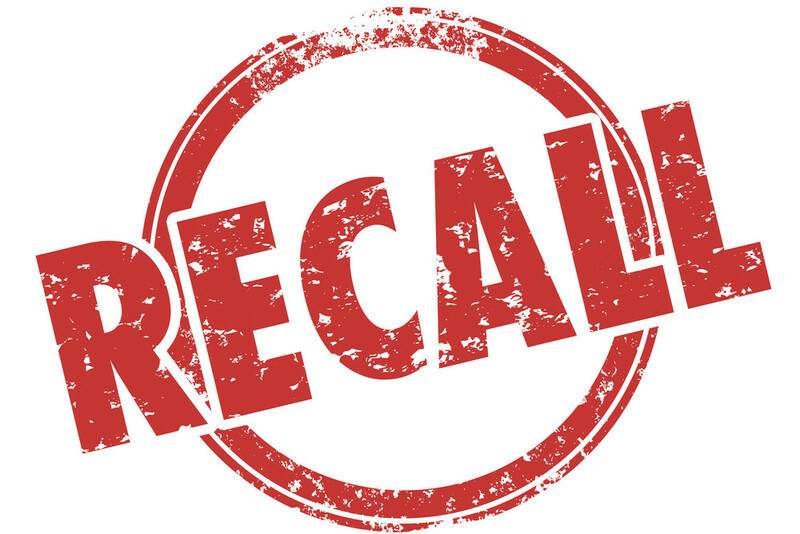 They had a recall for dog and cat jerky treats in July 2013. 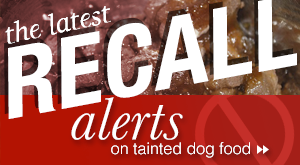 In February 2015 a small amount of Nutrisca dry dog food was recalled. 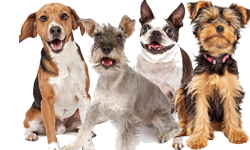 All together, Dogswell makes five different dry dog foods and nine canned dog foods under three different brands. Per the company, their foods are free of corn, wheat, soy, sugar, and artificial flavors. They use preservatives from natural or mineral sources. The food is fortified with added vitamins, minerals or supplements that provide functional health benefits. And its made with simple, real food ingredients that taste good. Real salmon is the #1 ingredient, balanced with peas, chickpeas, fruits and veggies. Free of grains and potatoes. Real lamb is the #1 ingredient, balanced with peas, chickpeas, fruits and veggies. Free of grains and potatoes. Note that the Dogswell site doesn’t give an AAFCO statement for these foods but you can hover over the bag images and read the AAFCO statement. They are all life stage foods. Delicious cage-free chicken and whole grains, with added Omega Fatty Acids for holistic wellness. We do not see an AAFCO statement of any kind on this packaging and we can’t find one online for Vitality Chicken & Oats. We take AAFCO approval seriously so we can’t recommend this food. Dogswell also makes Happy Hips Chicken & Oats dry dog food. This food has glucosamine and chondroitin for hip and joint wellness, according to the company. Made with delicious cage-free chicken and whole grains, with added Glucosamine & Chondroitin to help maintain healthy hips and joints. This food is supposedly an adult maintenance dog food but we do not see any AAFCO statement on the bag (where it is required to be placed). We don’t see an AAFCO statement on the company web site either. The nutritional adequacy statement is one of the most important pieces of information for pet owners concerning the food and it needs to be included on the packaging if the food meets the minimum standards. Rich, savory stew with chicken as the #1 ingredient and veggies you can see. No grains or potatoes. 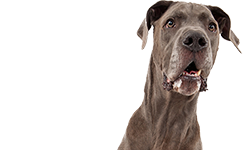 AAFCO-approved as a growth and maintenance dog food, including large puppies. Rich, savory stew with salmon as the #1 ingredient and veggies you can see. No grains or potatoes. Rich, savory stew with turkey as the #1 ingredient and veggies you can see. No grains or potatoes. 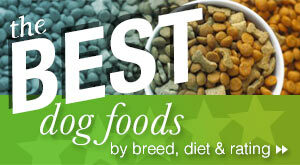 AAFCO-approved as a growth and maintenance dog food. Not for growth of large puppies. Chunks of cage-free chicken with antioxidant-rich fruits and veggies in a delicious sweet potato stew. Chunks of cage-free duck with antioxidant-rich fruits and veggies in a sweet potato stew. Chunks of premium lamb with antioxidant-rich fruits and veggies in a delicious sweet potato stew. We’ve chosen Dogswell’s Vitality Chicken & Sweet Potato Stew canned dog food for our review. If you check online for Dogswell products and reviews, you will find a lot of unhappy people, whether they have actually bought Dogswell products or not. Some people are unhappy about Dogswell treats, especially jerky treats. Other people are unhappy about Dogswell customer service. We are only concerned here with Dogswell’s dog foods. As far as we can tell, most people have good things to say about their foods, both dry and wet. Nutrisca is the company’s main dry dog food line at this time but we were more intrigued by some of the canned foods under the Vitality and Happy Hips brands. These canned foods use cage-free chicken and duck, and antibiotic-free lamb. They have No grains, corn, wheat, soy; no artificial colors, flavors or preservatives. And they use chelated minerals and other good quality ingredients. They appear to have ingredients that are at least as good or better than the Nutrisca canned foods. The first five ingredients in the Chicken & Sweet Potato Stew are: Chicken, Chicken Broth, Water Sufficient for Processing, Chicken Liver, Dried Egg Product. Chicken is a good source of protein, of course. In its whole form it contains lots of water (about 70 percent). The rest is mostly protein (18 percent) and fat (5 percent). Together with the chicken broth and water for processing, this will provide the 82 percent moisture in the food. The next ingredient (after the chicken broth and water for processing) is chicken liver. Chicken liver is about 63 percent protein and 35 percent fat. It’s a great source of vitamins and minerals, especially Vitamin A and iron. Dried egg product is the fifth ingredient. We don’t mind this form of eggs in dog food. Eggs are often added as a way to increase the amount of protein in the food. 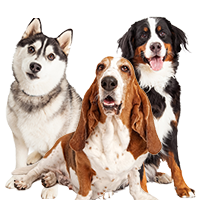 They are a good source of lots of vitamins and minerals plus they are in a form that is easy for your dog to absorb and use (“bioavailable”). After about the fifth ingredient (or by the time you reach the fat in a dog food), it’s questionable whether how much of an ingredient is present in a food. However, we will mention some other ingredients in this food. It also contains salmon – a good source of protein and omega-3 fatty acid. It contains cranberries and blueberries which are said to be good sources of antioxidants. Flaxseed oil (in small amounts) is a plant source of omega-3 fatty acid. Not as desirable as fish sources, but still useful in some ways. And the food contains taurine which is sometimes added to dog foods today for heart health, among other things. Ingredients that might cause concern include “natural flavor” which can indicate the presence of a form of monosodium glutamate (MSG) used as a flavor enhancer or other undesirable additives; and guar gum. Guar gum comes from guar beans and it’s used as a thickener in all kinds of food products. In fact, it’s been used for decades. However, it can have a laxative effect. Consuming too much guar gum, or presumably if your dog eats too much canned food with this ingredient, might cause a problem. This is a soluble fiber and it could interfere with the absorption of other nutrients or lead to a sudden bout of diarrhea. But your dog would likely have to eat an excessive amount of the food for this to occur. The food does have a lot of more or less unnecessary vegetables for carbohydrates. 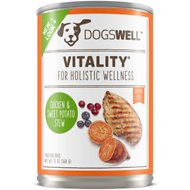 We think that Dogswell’s Vitality Chicken & Sweet Potato Stew canned dog food looks like a good food based on the ingredients. Let’s look at the numbers. ME (calculated) 873 kcal/kg or 322 kcal/cup. Comes in a 13 ounce can. For adults feed 1 ½ to 1 ¾ cans per 15 pounds of body weight per day. For puppies, feed up to twice the adult recommendation. That daily diet could easily become very expensive. 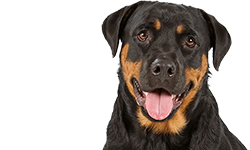 Dogswell’s Vitality Chicken & Sweet Potato Stew Dog Food is formulated to meet the nutritional levels established by the AAFCO Dog Food Nutrient Profiles for growth and maintenance except for large size dogs (70 pounds or more as an adult). The dry matter basis (DMB) figures for this food are: 44.4 percent protein; 22.2 percent fat; 5.6 percent fiber; and 11.1 percent carbohydrates. Compared to other canned dog foods, this food has moderate protein and average fat, though the fat is higher than the normal amount found in most dry dog foods. The fiber content is within the normal range for commercial foods. The carbohydrates are relatively low. Where can you buy Dogswell Dog Food? 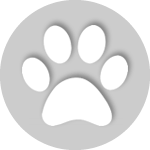 Dogswell is easy to find online from Chewy.com and other online retailers. 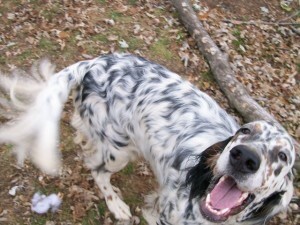 You can check the Dogswell web site to find locations that well their food. You can contact Dogswell directly to ask them for coupons. E-mail them at info@dogswell.com. You can also join their mailing list. 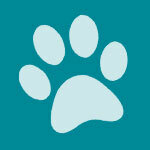 Dogswell is also on Facebook where you can find out about promotions. While some people have had some issues with Dogswell’s treats, their dog foods appear to be good quality foods made with good ingredients. 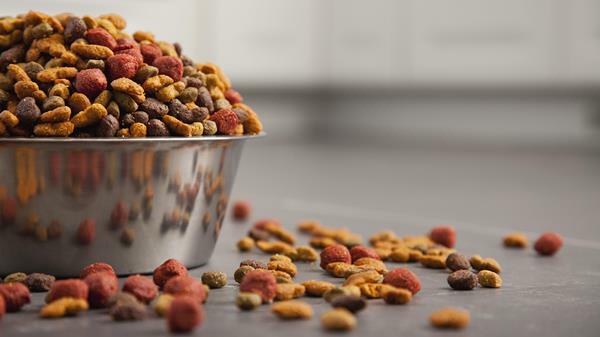 We did find some concerns about where some of their ingredients might be sourced but management responded that all but a small percentage of their ingredients were sourced in the U.S. and their dog foods were made in the U.S. This suggests to us that they may source their vitamins and minerals from China. Yes, many other pet food companies also source vitamins and minerals from China. We are simply letting you know in case this is a concern for you. 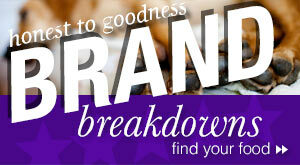 Do read the labels on their foods carefully since they vary in their life stage formulations. There seems to be a lot to like about the Dogswell foods, but we would like them better if they were a little more transparent about things. I started giving my dog Dogwell Happy Hips Chicken jerky about three weeks ago she is a 10 pound Shema. We give her 1/2 only at bed time as a treat. I bought it because it said made in America. Now I’m reading not all the ingredients come from America. The only reason I look it up… is because she isn’t herself today and won’t eat. She keeps coming to be trying to tell me something. When I hold her her stomach growls and grumbles and she pushes closer to me. I started reading about this product and am now horrified that I gave my baby this conterversal treat. It is very deceiving to put made in America when other ingredients are from elsewhere. That should be displayed so the consumer is aware and can make a choice based on where all the ingredients are from. When I take her to the Vets’s , I pray it’s has nothing to do with this product. This is the only thing she has had different sense she was a year old. She is now almost seven. Please supply me with any pertinent information.